Halloween is a month long celebration that transforms Long Island to Scary Island! Watching Michael Jackson's video of "Thriller" is a very tame way to get into the mood for a visit to a haunted house. Thankfully, there are plenty of haunts filled with thrills and chills right here on Long Island providing spooky good fun to both Nassau and Suffolk. Prepare yourself to be scared at any of our local haunted attractions. They feature live actors dressed as ghouls, ghosts and zombies, along with props and music. The themed rooms, corridors and labyrinth of passageways are designed to maximize the fear and intense horror. There are plenty of spooky scenes and special effects, but the true fright may be the real ghosts that are lurking or are they? The demonic spirits are sure to spook you too. Experience the feelings of being buried alive, suffocating, or claustrophobia to the extreme. Encounter the spirits of the undead at a 100-year-old estate. Experience this spooky world of frights. Super scary 15 minute walk filled with live actors and animation. Be an eyewitness to a zombie outbreak. Ultimate terror with 4,000 props and animatronics. Help eliminate the zombie invasion that is sweeping the area. Be careful as you travel beyond the norm and enjoy the thrills and terror. The live monsters take your mind to the dark place it should never go. Spooky Fest-The Woods Are Haunted! An unforgettable walk in the woods. Slim Chance the former proprietor of The Carnevil, is ready to chill you to the core. 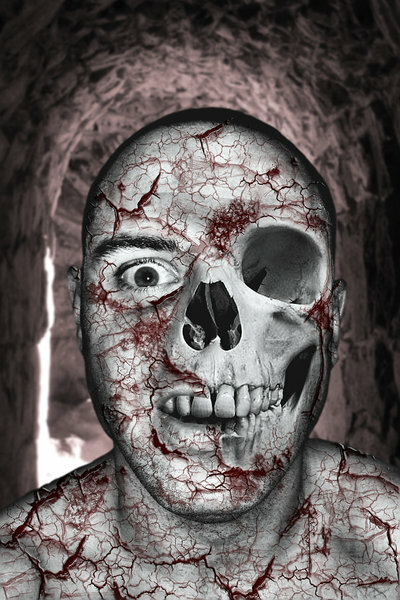 Let us know about your favorite haunted attraction at Long Island.com Forum! Subject: LongIsland.com - Your Name sent you Article details of "Haunted Houses that Will Make You Scream!"